An amazing high intensity cardio workout leaning to use a machete for self defence and survival. Safe and professional training with heavy combat quality polymer machetes, as real as it gets training without losing an arm. Still hurst like hell when you get hit, which adds to the realism of the training. Take a couple of lessons to learn the basics of foot movement, balance, striking and weapon retention. It's a lot of fun learning and a real eye opener to the combat proven techniques used in real wars throughout history. Something we have been passionately studying and practising for some time now. One this that surprised us, women love this training just as much as men. 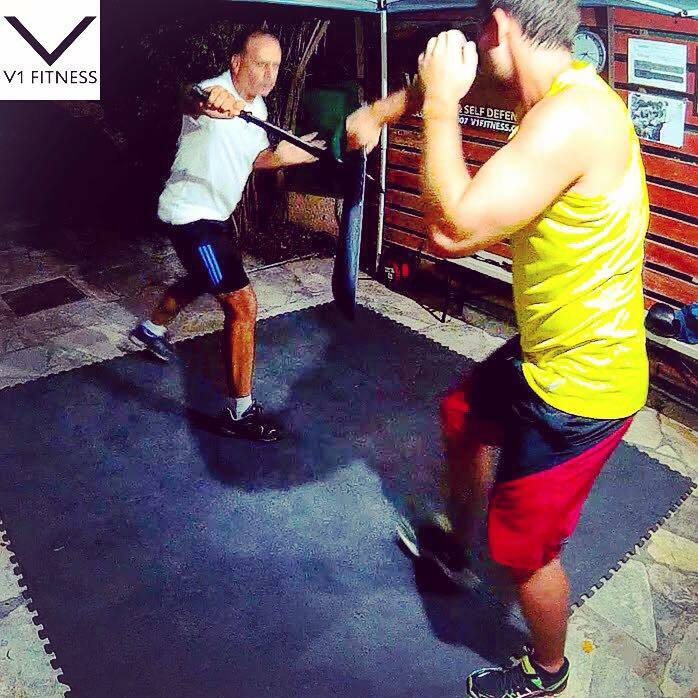 Book a lesson to find out why we've made it a fun part of the V1 FITNESS self defence training programme.